The literature on preschool-aged and older children with Down syndrome tends to be consistent with conventional understanding of orthotic principles, but in very young children clinical decision-making about orthoses must also encompass neuromotor implications. As those of us whose work focuses on the lower extremity know, the foot is important for function. In its “locked,” rigid position, it provides a stable platform for static movement and a rigid lever arm for push-off. In its “unlocked” position, it provides shock absorption and adaptability to uneven surfaces. It seems obvious to us that we should try to correct the problem of a foot that is too rigid or too compliant. But in the realm of pediatrics, we have to step back and consider carefully what is known about motor development and about orthotic prescription in children before deciding on a treatment for our young patients. Down syndrome (DS) provides an interesting context from which to consider this point. It is one of the most common cognitive disorders and occurs in one out of every 691 live births in the US. Children with DS present with ligamentous laxity and low muscle tone. In the foot, this leads to pes planus and contributes to functional problems such as decreased balance  and atypical gait patterns. Children with DS also experience delays in reaching motor milestones such as walking, running, jumping, and climbing stairs. These abnormalities and delays may make it difficult for children with DS to explore their environment fully and interact socially. As a physical therapist, my instinct is often to use orthoses to treat the pes planus. I believe this will improve stability of the foot and ankle and lead to improved functional movement, and maybe even increase participation in a social setting. However, I have to stop and ask myself whether this is a fair expectation; does providing a more neutral subtalar position really lead to the kind of changes in societal participation that the orthotist, therapist, parents, and child hope for? 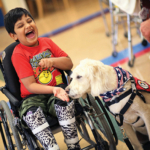 To answer this question it is helpful to consider two subjects: the process of motor development and podiatric issues in children with DS and the effect of those issues on gait patterns. Motor development is an ongoing process influenced not only by neural maturation but also by the development of other body systems and environmental influences. As children learn to walk, they are building strength and also learning to balance and interpret feedback coming from the foot and ankle. The neural connections that help toddlers maintain an upright posture are forming in real time as the nervous system receives input. If there is a disruption in this feedback while a child is learning the skill, the skill may not be as adaptable in the future. Using a treatment that provides stability by limiting motion may interrupt the process of motor development by limiting the amount of feedback the nervous system receives. The primary means of deciding what treatment is most effective for a child’s foot is the physical examination of the foot and ankle. Although there can be considerable variability in children with DS, they often display podiatric abnormalities. Concolino and colleagues  found that 60% of children with DS aged 4 to 8 years exhibited flat feet compared with 10% of children with typical development. Additionally, 90% of children with DS demonstrated bony foot abnormalities. Further research has found that children with DS show increased levels of contact area and pressure through the midfoot and forefoot. Not surprisingly, their gait is also atypical. Children with DS demonstrate an increased base of support, increased time in double support, shorter step length, and more force required at terminal stance to push the foot off the ground. [9,10] Recent research has linked arch height to push off; children with DS who had flatter feet also had less efficient push-off. Given these impairments, it would seem that a device that helps redistribute forces and can help make a compliant foot into one that does a better job of transmitting forces would be beneficial for children with DS. Indeed, treatment of children with DS often includes the use of orthotic devices at the foot and ankle. However, only a limited amount of research on the effectiveness of these devices is available. The available literature suggests that, in children with DS older than 3 years, orthotic devices not only enhance ankle alignment and kinematics during gait, but also improve postural stability. Selby-Silverstein and colleagues found that 3- to 6-year-old children with DS exhibit decreased ankle eversion during static standing while wearing custom foot orthoses. During walking, the use of custom foot orthoses was associated with a decreased foot progression angle, a decreased variability in this angle, a change in the initial contact site from flat foot to heel strike, and a decrease in walking speed. Martin has also studied orthosis use in children with DS, and found that children (age, 3 years 6 months through 8 years) experienced immediate and long-term improvements in postural stability when they used flexible supramalleolar orthoses (SMOs). Pitetti and Wondra also found that foot orthoses improved gross motor skills in a cohort of children with hypotonia associated with various diagnoses; however, the authors suggested that children with DS may need the additional support of SMOs. This limited evidence from the literature sheds positive light on the use of orthotic devices in children with DS and suggests that, in children who have an established gait pattern, the assumed link between foot function and functional activities may hold true. With the relation between foot function and functional activities in mind, the next question becomes, “How can we optimize function using orthoses?” Research has looked at SMOs and foot orthoses separately, however we do not know which type of orthotic devices are better for children with DS. Clinicians who treat children with DS know that there is not a “one size fits all” answer to this question. A recent pilot study examined the correlation between specific measurements and gait parameters of school-aged children with DS who walked under three different conditions: foot orthoses, SMOs, and shoes only. The findings suggest that general measurements such as height, weight, and overall hypermobility may be more related to gait parameters than specific biomechanical measurements regardless of device type used. These results do not tell us when an SMO or foot orthosis is best, but suggest that orthotic prescription to improve functional outcomes may be more related to global body parameters than to specific foot and ankle measurements in children with Down syndrome. While this small study does not completely answer the question of optimal function through orthotic intervention in children with DS, it is a first step to understanding the interaction between orthotic device, body type, and function. Though orthoses seem to have benefits in children with DS who are at least of preschool age, the devices’ benefit becomes more muddled when considering infants and new walkers. In a study on the effect of early SMO use on functional outcomes in infants with DS, my colleague and I tested how SMO use as a therapeutic adjunct to treadmill training influences gait and functional ability. Infants who were able to pull to standing but could not yet walk were separated into two groups. One group was provided with flexible SMOs and treadmill training and the other received treadmill training only. Once the children began walking independently, the treadmill training was discontinued and all children received SMOs. After one month of independent walking, gait parameters, including velocity, step length, step width, and the foot progression angle, were measured using a pressure mat. These parameters were assessed for two conditions, shoes only and shoes with SMOs. There were no significant differences between the two conditions (Table 1). There was one group difference; specifically, the children who learned to walk wearing SMOs had a significantly smaller foot progression angle than those who received SMOs after they could walk. There were no other significant differences in the gait parameters analyzed, (Table 1). The SMOs seem to have little influence on gait parameters in new walkers. Perhaps this is because new walkers are focusing their energy on staying upright rather than on refining their gait parameters to become efficient walkers. This study also explored functional movements using the Gross Motor Function Measure. 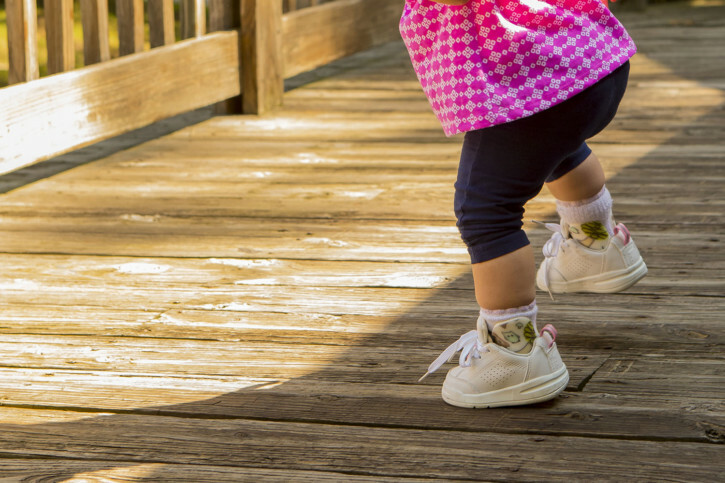 When the orthoses were removed, toddlers with DS who learned to walk while wearing SMOs had more difficulty with upright functional skills than toddlers with DS who received orthoses following the onset of independent walking. The structure provided by SMOs limits movement of the foot and ankle at a time when feedback from movement is shaping the nervous system. The orthoses may negatively influence development of the neuromotor pathways related to control of the ankle by limiting the range and variability of practice available—essential components when developing a new skill. In addition to influencing functional ability, SMOs may also impact how infants develop gross motor skills. 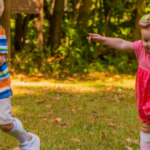 Infants with DS who wear orthoses while they learn to walk display a change in the developmental trajectory of learning to stand. While all infants with DS learn to stand independently, infants with SMOs reach this developmental milestone in a different manner than infants without SMOs. 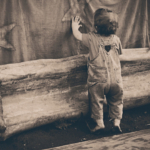 Infants wearing SMOs spend more time holding onto a support surface with two hands and moving their trunk back and forth to explore their postural control. On the other hand, infants who do not wear orthoses spend more time leaning on a surface for support and exploring their environment with two hands. 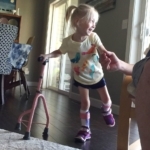 Finding a balance between an intervention that allows a child to walk (and explore) independently and optimizing neuromuscular development can be difficult. 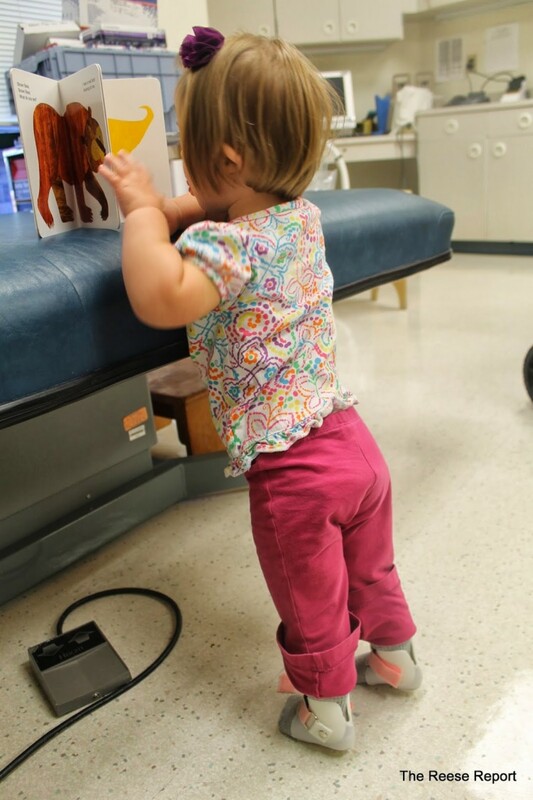 Orthotic devices appear to be a helpful intervention to improve standing balance and gait in children with DS; however, starting orthotic intervention before infants learn the fundamentals of controlling the foot and ankle may be detrimental. The literature, out of necessity, presents findings in black and white. But as practitioners we acknowledge individual differences among our patients. Some children with DS require more support at the foot and ankle than others. Some may not require any orthotic intervention. Translating the literature into the more varied circumstances found in practice can be difficult. For infants and toddlers, the literature seems to suggests that clinicians should wait to provide orthotic devices if they can. The available evidence appears to show that early SMO use does not seem to have a dramatic influence on early gait and may negatively influence other functional skills. However, children with extreme hypermobility in the foot may need an orthotic device to gain the stability necessary to take their first step. In this case, waiting to use an orthotic device could further delay walking onset and hinder the cognitive growth that is gained through exploration of the environment. A child with extreme hypermobility will probably always rely on an orthotic device for foot and ankle stability, so the effects of early SMO use on the nervous system are less important because the child is a full-time user of orthoses. On the other hand, if a child has moderate to minor hypermobility or may not be a full-time user of orthotic devices, then it would seem to be more beneficial for practitioners to wait until the child develops a stable walking pattern to implement the use of orthoses. Another related important point from the literature is to use the least restrictive brace possible. When deciding what type of orthotic device to use, clinicians often think about functional consequences, but we must also think about the neuromuscular consequences of our choice. The nervous system has shown a capacity for remodeling in response to active movement or to the lack of movement. This occurs into adulthood. Orthotic devices are beneficial in children with DS who have an established walking pattern. However, providing an orthotic device that unnecessarily limits movement across a joint has the potential for negatively impacting neuromotor development. Finally, the literature suggests that, when considering which type of orthotic device to use for a child with DS, clinicians should take into account the more global physical characteristics of the child, not just his or her foot parameters. 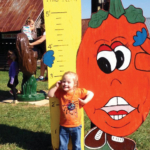 The recent literature suggests that in children with DS the best walking outcomes are correlated with height, weight, and overall hypermobility. Although the literature cannot currently tell us which child will benefit most from SMOs or foot orthoses, we know that, in general, larger children and those with more hypermobility walk better with an SMO and smaller children or those who are less hypermobile walk better with foot orthoses or no orthoses. The current body of literature on the use of orthoses in children with DS is growing. 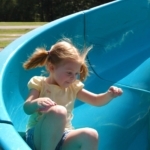 Many of the findings on preschool-aged and older children match our clinical perceptions and understanding of orthotic principles, but the findings on early orthosis use challenge our understanding and clinical decision-making. As research related to orthosis use in children with DS continues to evolve, clinicians will gain the tools needed to more fully impact the lives of the children we treat. Julia Looper PT PhD is an assistant professor in the Physical Therapy Program at the University of Puget Sound in Tacoma, WA, who researches early intervention techniques to improve the development of gait in children with Down syndrome. Updated National Birth Prevalence estimates for selected birth defects in the United States, 2004-2006, Parker SE, Mai CT, Canfield MA, Rickard R, Wang Y, Meyer RE, Anderson P, Mason CA, Collins JS, Kirby RS, Correa A; National Birth Defects Prevention Network. Birth Defects Res A Clin Mol Teratol. 2010 Dec;88(12):1008-16. doi: 10.1002/bdra.20735. Epub 2010 Sep 28. Early detection of podiatric anomalies in children with Down syndrome, Concolino D, Pasquzzi A, Capalbo G, Sinopoli S, Strisciuglio P. Acta Paediatr. 2006 Jan;95(1):17-20. Dynamics of postural control in the child with Down syndrome, Shumway-Cook A, Woollacott MH. Phys Ther. 1985 Sep;65(9):1315-22. Exploring effects of different treadmill interventions on walking onset and gait patterns in infants with Down syndrome, Wu J, Looper J, Ulrich BD, Ulrich DA, Angulo-Barroso RM. Dev Med Child Neurol. 2007 Nov;49(11):839-45. Gross motor function of children with down syndrome: creation of motor growth curves, Palisano RJ, Walter SD, Russell DJ, Rosenbaum PL, Gémus M, Galuppi BE, Cunningham L. Arch Phys Med Rehabil. 2001 Apr;82(4):494-500. Motor development. A new synthesis, Thelen E. Am Psychol. 1995 Feb;50(2):79-95. Review. Solving Bernstein’s problem: a proposal for the development of coordinated movement by selection, Sporns O, Edelman GM. Child Dev. 1993 Aug;64(4):960-81. Foot-ground interaction during upright standing in children with Down syndrome, Pau M, Galli M, Crivellini M, Albertini G. Res Dev Disabil. 2012 Nov-Dec;33(6):1881-7. doi: 10.1016/j.ridd.2012.05.018. Epub 2012 Jun 19. Walking patterns in Down’s syndrome, Parker AW, Bronks R, Snyder CW Jr. J Ment Defic Res. 1986 Dec;30 (Pt 4):317-30. Modeling dynamic resource utilization in populations with unique constraints: preadolescents with and without Down syndrome, Ulrich BD, Haehl V, Buzzi UH, Kubo M, Holt KG. Hum Mov Sci. 2004 Sep;23(2):133-56. Relationship between flat foot condition and gait pattern alterations in children with Down syndrome, Galli M, Cimolin V, Pau M, Costici P, Albertini G. J Intellect Disabil Res. 2014 Mar;58(3):269-76. doi: 10.1111/jir.12007. Epub 2013 Jan 4. The effect of foot orthoses on standing foot posture and gait of young children with Down syndrome, Selby-Silverstein L, Hillstrom HJ, Palisano RJ. NeuroRehabilitation. 2001;16(3):183-93. Effects of supramalleolar orthoses on postural stability in children with Down syndrome, Martin K. Dev Med Child Neurol. 2004 Jun;46(6):406-11.. Dynamic Foot Orthosis and Motor Skills of Delayed Children, Pitetti, Kenneth H. PhD, FACSM; Wondra, Valerie C. RPT. JPO Journal of Prosthetics and Orthotics. January 2005:17(1):21-24. What to measure when determining orthotic needs in children with Down syndrome: a pilot study, Looper J, Benjamin D, Nolan M, Schumm L. Pediatr Phys Ther. 2012 Winter;24(4):313-9. doi: 10.1097/PEP.0b013e31826896eb. Effect of treadmill training and supramalleolar orthosis use on motor skill development in infants with Down syndrome: a randomized clinical trial, Looper J, Ulrich DA. Phys Ther. 2010 Mar;90(3):382-90. doi: 10.2522/ptj.20090021. Epub 2010 Jan 14. Does orthotic use affect upper extremity support during upright play in infants with down syndrome? Looper J, Ulrich D. Pediatr Phys Ther. 2011 Spring;23(1):70-7. doi: 10.1097/PEP.0b013e318208cdea. Principles of experience-dependent neural plasticity: implications for rehabilitation after brain damage, Kleim JA, Jones TA. J Speech Lang Hear Res. 2008 Feb;51(1):S225-39. doi: 10.1044/1092-4388(2008/018).